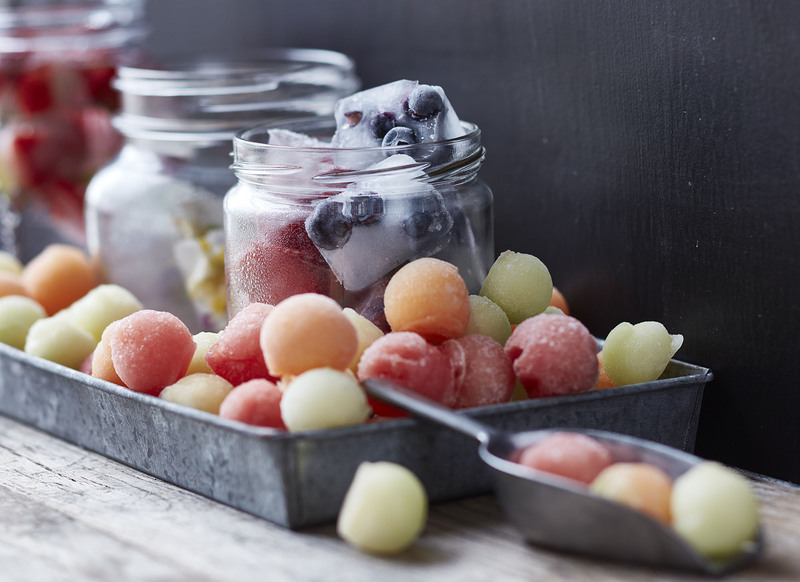 You want your party to be as easy and inviting as possible. With burgers on the menu, it’s all about accessories and setting the scene! 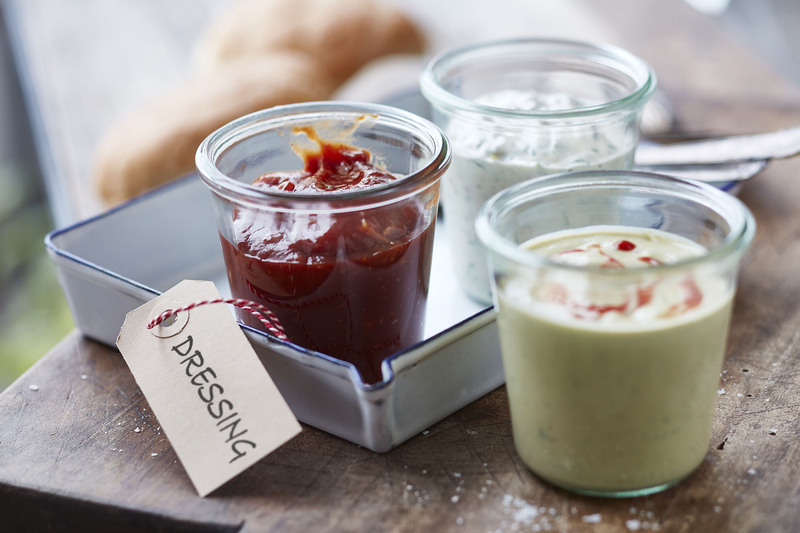 Set up a DIY burger bar and invite people to experiment with new and flavourful toppings. Need some inspiration? 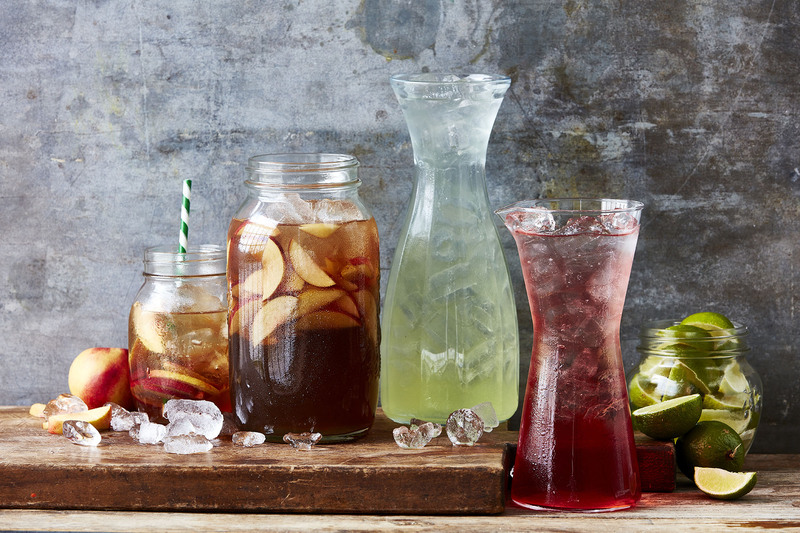 Get people talking and mingling with delicious cocktail pitchers – whether it’s a homemade iced tea, a pretty margarita or a vodka & cranberry pitcher, the drink section becomes part of the décor! 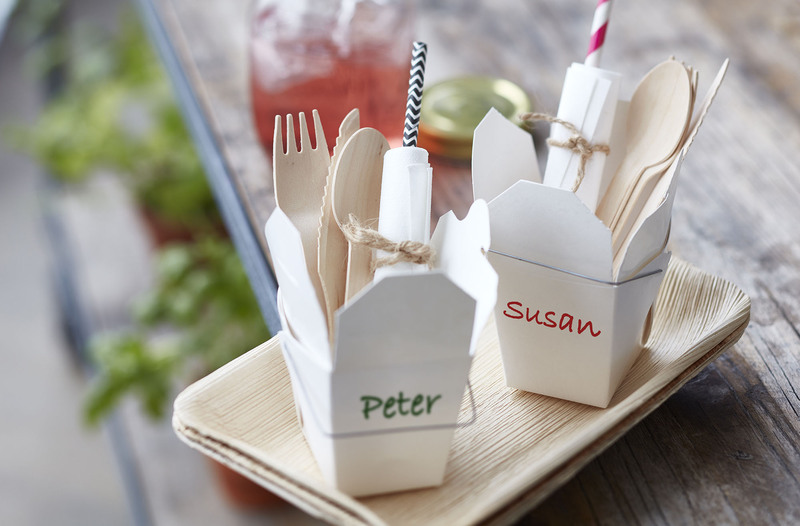 Help your guests tackle the buffet and wrap serviette and cutlery in one – and if you want to avoid doing the dishes, choose wooden or plastic cutlery! 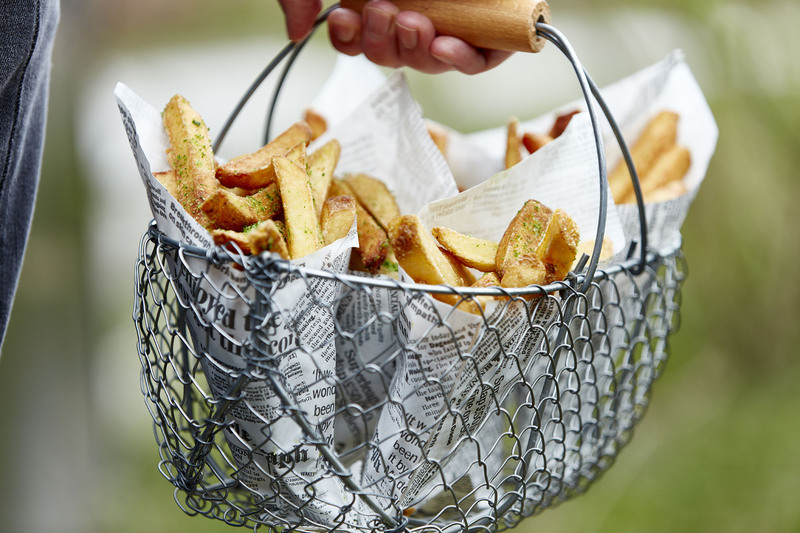 Chips are a perfect match for your homemade grilled burgers – sprinkle with salt and fresh thyme and serve in paper cornets for a crafted look!